According to new research, the larger the bank the more likely they are to screw you. So, where to from here? Yet again this week, the Hayne Royal Commission has brought disturbing news of misconduct toward customers of our largest financial institutions. This time super accounts have been plundered for the benefit of shareholders. Recent research from economists at the United States Federal Reserve suggests this problem is not unique to Australia. If true, this supports the argument that larger financial institutions should be broken up or face more regulatory scrutiny. The researchers found that larger banking organisations are more likely than their smaller peers to experience “operational losses”. And by far the most significant category (accounting for a massive 79%) within operational losses was “Clients, Products and Business Practices”. This category captures losses from “an unintentional or negligent failure to meet a professional obligation to specific clients, or from the nature or design of a product”. When a bank is caught out engaging in misconduct toward customers, it is required to make good to customers – the so-called process of remediation. It’s a category that perfectly captures the issues under review in the royal commission. Operational losses also include things like fraud, damage to physical assets and system failures. In recent weeks we have heard a lot about Australian banks having to compensate customers. The cost to the bank is, however, far greater than the dollar value received by customers. The administrative costs of such programs are significant, and then there are legal costs and regulatory fines. While no-one feels sorry for banks having to suffer the consequences of their misconduct, regulators monitor these losses due to the possibility that they may increase the chance of bank failure. Another aspect of the Federal Reserve’s study is the size of the losses. One example is where the five largest mortgage servicers in the United States reached a US$25 billion settlement with the US government relating to improper mortgage loan servicing and foreclosure fraud. In another example, a major US bank holding company paid out over US$13 billion for mis-selling risky mortgages prior to the 2008 crisis. Settlements of this size have simply not occurred in Australia. 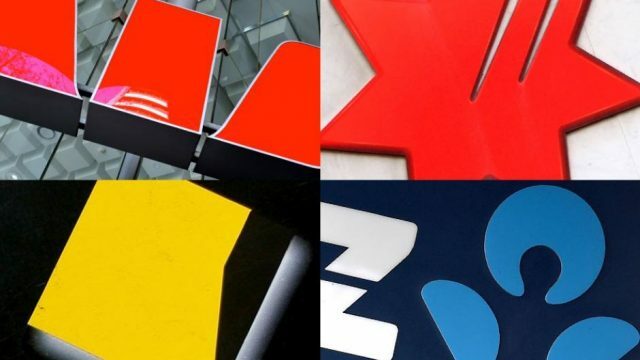 What do the big four banks face in the wake of the royal commission? One might assume that economies of scale – reduced costs per unit as output increases – also apply to risk management. The larger the organisation, the more likely it has invested in high-quality, robust risk-management systems and staff. If this holds, then a large bank should manage risk more efficiently than a smaller one. The possibility of unexpected operational losses should then be reduced. Larger financial institutions might also attract greater regulatory scrutiny, which might help to improve risk-management practices and reduce losses. But the reverse seems to be true, based on the analysis of American banks from 2001-2016. For every 1% increase in size (as measured by total assets) there is a 1.2% increase in operational losses. In other words, banks experience diseconomies of scale. And this is particularly driven by the category of Clients, Products and Business Practices. In this category losses accelerate even faster with the size of the bank. This could be the result of increased complexity in large financial institutions, making risk management more difficult rather than less. As firms grow in size and complexity, it apparently becomes increasingly challenging for senior executives and directors to provide adequate oversight. This would support the argument that some financial institutions are simply “too big to manage” as well as “too big to fail”. If bigger financial institutions produce worse outcomes for customers, there is an argument for breaking up larger institutions or intensifying regulatory scrutiny. Is the same thing happening in Australia as in the United States? The case studies presented by the royal commission suggest it could be, but it’s difficult for researchers to know exactly. Australian banks are not required to publicly disclose comprehensive data on operational losses. APRA may have access to such information, but any analysis the regulator may have done of it is not in the public domain. Perhaps this issue is something Commissioner Hayne should explore. Elizabeth Sheedy is a financial risk expert based in the Applied Finance Centre where she has been teaching in Singapore and Australia for more than 20 years. Prior to joining the university she worked for Macquarie Bank and Westpac. She is responsible for all courses in the Risk Management specialisation in the well-regarded Master of Applied Finance program. A/Professor Sheedy has enjoyed a long association with RMA Australia (Risk Managers' Association) and PRMIA (Professional Risk Managers' International Association) and co-edited The Professional Risk Managers' Handbook. In previous years her research focussed on quantitative risk modelling. More recently her research focus has shifted to the role of governance and culture in determining outcomes for banks. Her current focus research interests are: risk culture, ethical culture/leadership, remuneration and experimental investigation of risk management behaviour.